Check out my fancy new Whynter fridge that I got from craigslist for less than half the price of a new one. It works great, and so far I love it. It has been used but it's only a year old. Manufacture date on the side proves it. 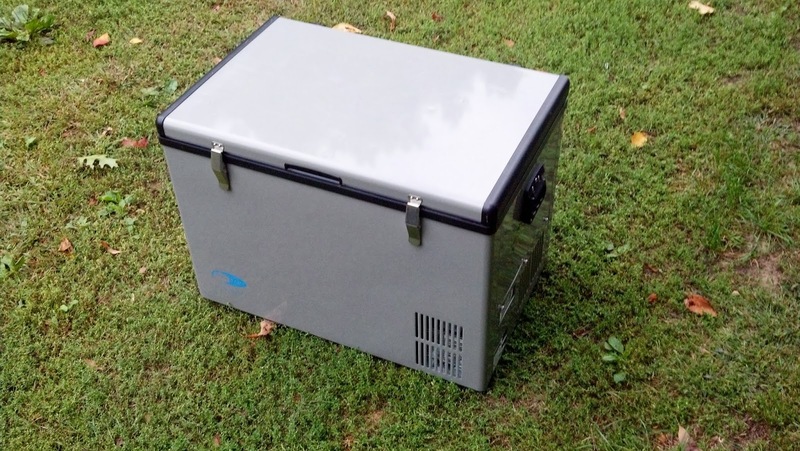 It's the 65qt model, also known as the FM-65G. It runs on AC power and also DC. 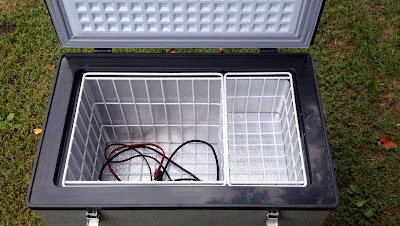 I believe that once I get the solar panels moved over from the van, and another battery or two, that I will be able to power this unit with no problem. It's pretty quiet too. It can get down to -8 degrees, but I don't plan to ever use it to freeze things so that should help conserve power. It's nice to be able to have one of these as it's one of the larger expenses for the motorhome that I didn't expect to ever be able to afford. 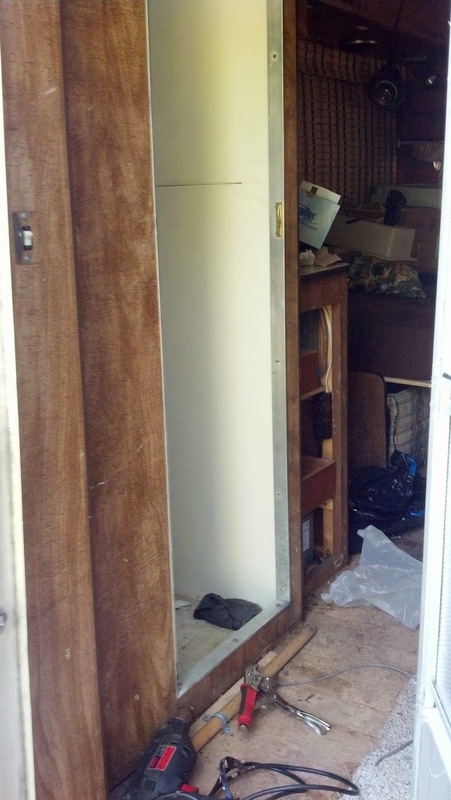 And the fridge that came with the motorhome didn't work. 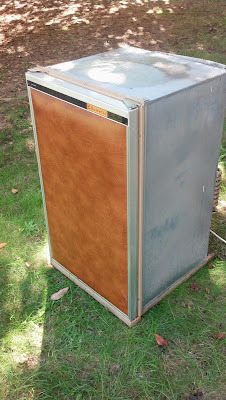 Which, as of purchasing this I got right to ripping the old fridge out. Turned out to be a bit of a Tetris game getting it out of the motorhome but by turning it just the right way at just the right time, it's now out. .... and I had to take the door off of the fridge. And off of the shower. And off of one of the cupboards. Haha. ﻿It's out now, though. Obviously the new chest doesn't fit in the old spot. 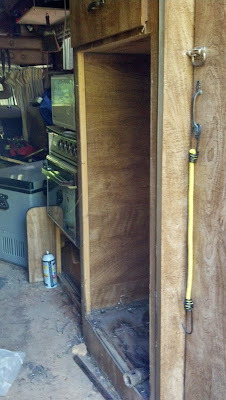 So far it looks like the new one will be going where I ripped out that dinette part the other day. 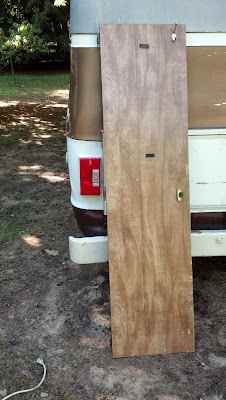 It probably would be a lot easier if I never did that as now I have to build pretty much the same thing again. Oh well. I can build it a tad bit narrower and give myself some extra inches of space. 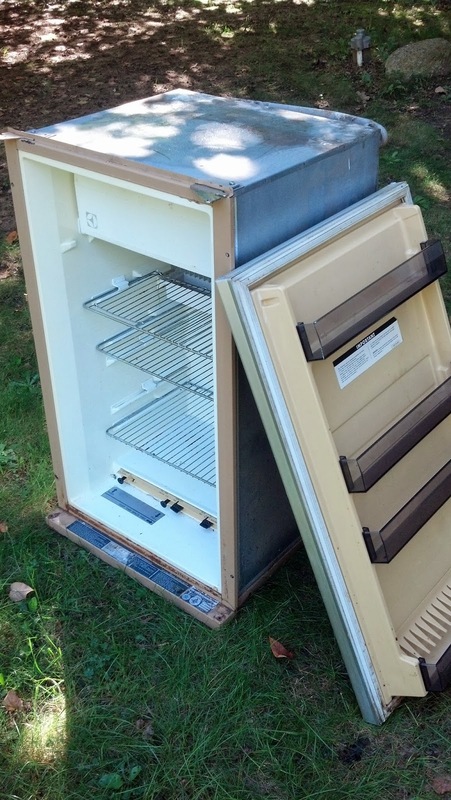 The old fridge spot will just end up being more storage space, and now it gives me an awesome spot to put the litter box for my cats, so I'm excited about that. As of right now, I don't think I'm going to put the door back on the shower. It's bowed out quite a bit anyway and makes opening and closing it difficult. It's also heavy. I plan to just put up a curtain and call it good. That should work fine with just me in the motorhome and it's already been nice to have the extra light in the rest of the motorhome from the roof vent in the shower. Whether smells from the waste tank are an issue or not will remain to be seen. 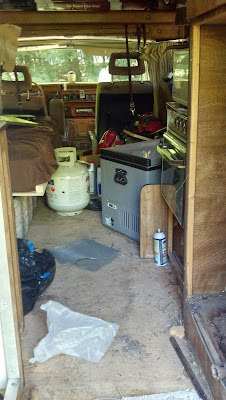 Otherwise I spent the day cleaning the motorhome out and getting ready to put the new flooring down. Sadly I didn't get that far, and I only have one day off from work. I'm finally really feeling like I'm on the home stretch though and that the end of this project is near. The picture below is before I cleaned it out. It looks much nicer inside now, I promise. Andy, have you thought about this shower curtain: http://www.doityourselfrv.com/stromberg-carlson-ext-3542-extend-a-shower-rv-shower/ . We put it in our rig, works great. Of course there are only four moving parts, but it makes the bathing area that much bigger. By the way, it looks like you're doing great on your moho. Keep it up, dude!